The dedicated service is best for promotion and welfare of the people. 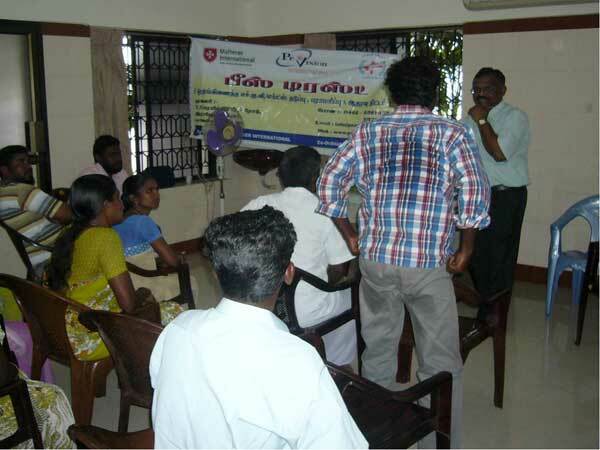 In the view of eradicating the stigma, protect themseves and empower the infected to survive in the world with peace, Peace Trust has implementing the comprehensive prevention, care and support project in Tiruneveli corporation, Palayamkottai block. The project is being supported by BMZ/Malteser International and coordinated by Pro-vision since 2007. The programme was the coordinated effort of four implementing partners in Tirunelveli district with one specialization like lobbying and advocacy, Medical component, migration and industrial intervention. There was tremendous changes had taken place in the last year 2009. The contributions of the project team members were much more higher in the development of the Project. 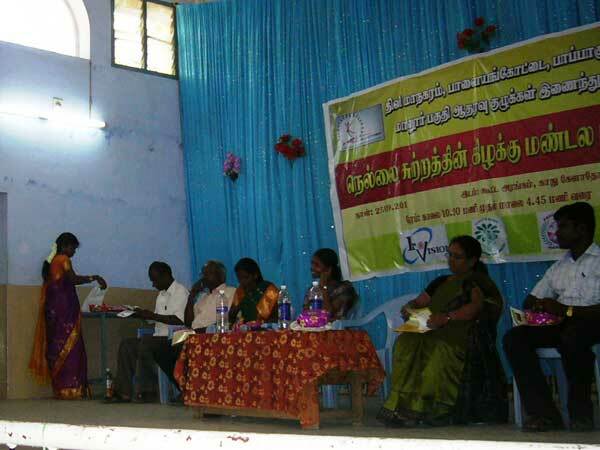 Trainings for the PLHIV in special needs, registration of Nellai Sutram, get togethers and Nellai Sutram annual general body meeting was highlighted during the reporting period . 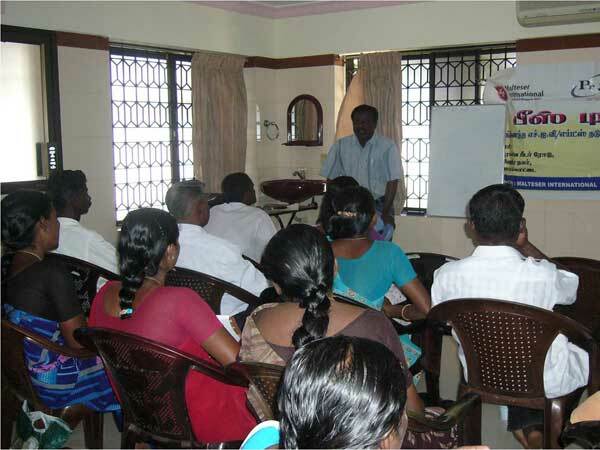 The goal of this programme is to enhance the standard of living of the PLHIV and of their corresponding kinsfolk through Home, Community and Institution Based care and thereafter preventing the spread of STI and HIV/AIDS in the Palayamkottai block, Tirunelveli Corporation and in the Kuruvikulam Blocks. Prevent the further spread of STI and HIV/ AIDS among the general population. Provide technical guidance on Home Based Care to the Existing PLHIV and education to the newly identified PLHIV. Endorse the involvement of the Family Affected by AIDS (FAA) towards PLHIV care. Ensure the functional setup and up liftment of support groups. 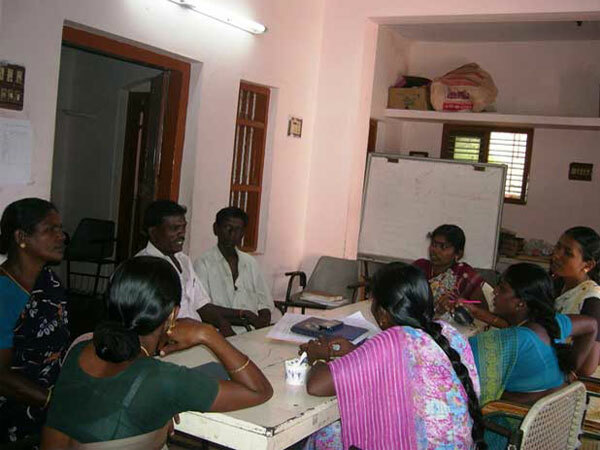 Increase the involvement of the community to provide contribution for the welfare of the PLHIV in the Nellai Sutram through the Friends of PLHIV forum. Strengthen the referral and linkages system for creating enabling environment to access the services by the PLHIV. Community helath workers were intend to promote the awareness among the general population to reduce the vulnerability of STI and HIV/AIDS. They had carried out the following programmes to achieve the result. The following programmes were organized by the community helath workers to spread the awareness among the general public. The programmes were organized based on the villages which were identified as high risk villages. The core life skills should be known by all the students to enrich their life in positive way . Based on the words , the project team were organized the LSE session to the OVC children in the targeted area to improve the skils in leadership, communication , differentiate the good and bad , handling emotional situation , HIV /AIDS , respecting the elders. CIA, CAA and OVC childrens were the participants of the LSE session . They were actively participated and learned with great interest . In the view of reducing the OI, the project team especially counsellors and nurses were trained the PLHIV and their family members on self care and environmental care during their home visits and support group meetings. Positive prevention is an important activities to prevent further spread of HIV . The family members are playing a vital role to provide the care to the PLHIV. They are also vulnerable to getting infection during extend the care of the PLHIV through improper handling of the PLHIV . In regards the nurses and counsellors were periodically provided the education to the Family members on bio medical waste management and proper funeral during the home visits and FAA support group meeting. PLHIV are facing the minor aliments quite often in their day to day life. There is no possibility to go to hospital to access treatment at any time even for a small aliments. There is a waste of travel, spending money and physical disturbance. Hence the Nurses were provided the continuous education to the PLHIV to manage their physical aliments. The care givers were also extended their support to the PLHIV on OI management. PLHIV are in the need of managing and overcoming their worries, suicidal tendencies and depression from their self and external factors. If they are not overcoming that, the problems are fully occupied them and even leads to mental problems and even death. In this regard , the project team were provided proper counseling and facilitation to the PLHIV to come out their stigma and making them to take decision by themselves regarding medicine and future directions . The team were promoted the PLHIV as a positive speaker. To address the immediate needs and continue education in often to the door steps of the PLHIV, the peer care givers were actively working in the field for their peer promotion . They were regularly visited the PLHIV Home and trained the PLHIV as well as the family members on home based care, treatment seeking behavior ,importance of support group health centers and available government schemes . They were also motivated the peers to became as a positive speaker and role model to others. They were also shared their content of the visit to the PLHIV in their respective support group meeting for monitoring purposes. 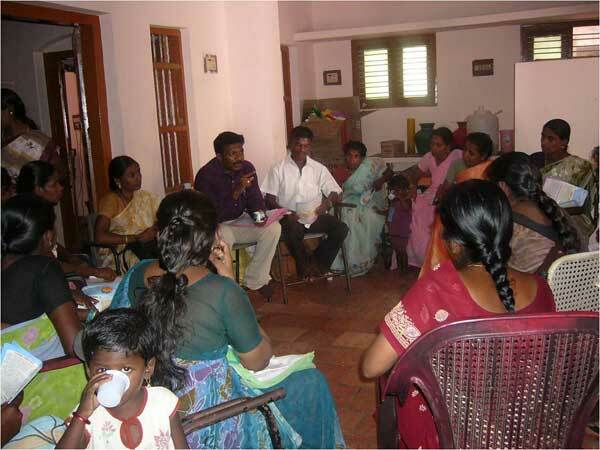 Support groups were functioned in their respective area with the active participation of their peers by themselves. They were well structural and making their groups to independently functioned with the support of the community and Philanthropist. During their support groups, they were shared their 1. Happiness 2. Sad happenings 3. Important events 4. Checking their treatment seeking 5.Problems identification 6.Plan to mobilise funds 7.Savings 8.Information regarding health centres 9.Jokes and news. Project team were streamlined their functions and facilitation work . In india , the support of the family is very important role in the development of the Individual. It decides the individuals health and mental stablity . Hence the project team were organized support group meeting for family members of the PLHIV . 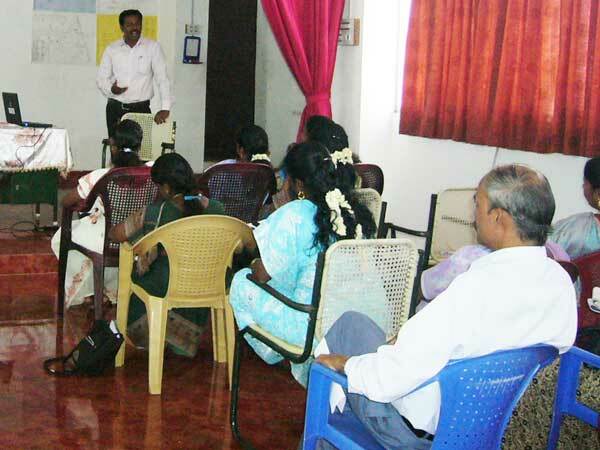 In this meeting , they were trained on HBC and care of PLHIV by the project team . And also shared the dos and donts among them for the betterment of PLHIV. The block level support groups were functioned very effectively with the active participation of the support group leaders of the respective block . Here , they were shared the activities of the small support groups, steps to strengthening the activities and increase the activities of the Support Group . They are also taken the steps to strengthen Nellai sutram. Friends of forum is the best methodology to increase the involvement of the public towards the global cause . The forum was formed with the active participation of the community who are willingly come forward to support the PLHIV without discrimination. The community health workers were formed the friends of PLHIV forum in the target area. In HIV AIDS field , ART centre has play a vital role to provide free treatment to the PLHIV and also offer the regular testing facility . They are also provided the treatment for OI and ART medicine to the PLHIV. Hence the PLHIV who are identified by us were immediately referred and registered at ART Centre. The important of the ART centre has emphasised by the project team during their home visit and support group meeting. The government has introduced lot of government schemes for the welfare of the people. Unfortunately, most of the people are not aware of the schemes and its procedures. Hence the project team, care givers and support group leaders were educated the PLHIV on government schemes and procedures. The eligible persons were referred and referred under various government schemes.